In 1951 at age 36, Cecil E. Burney was the youngest man ever elected to head the new, integrated State Bar of Texas. A surplus of Bar funds allowed Burney to originate the idea for a State Bar Building in Austin, and he considers this project to be his greatest accomplishment as president. During Burney's term the State Bar of Texas was selected by the A.B.A. as the nation's most outstanding Bar Association. Burney encouraged legal aid programs for the poor and promoted a public lawyer referral service. The son of Frank E. and Allye S. Burney, Cecil Burney was born on October 6, 1914, in Riesel, Texas. He received his B.A. and J.D. degrees from the University of Texas in 1937 and was admitted to the Bar in 1938. Since then he has made his home in Corpus Christi. During World War II he enlisted in the U.S. Navy and served overseas as a gunnery officer. He was discharged in 1945 as a lieutenant commander. In 1949 he married Kara B. Hunsucker; and they had three children. His wife died in 1973. Burney served as a member of the A.B.A. 's Board of Governors in 1965-1968 and House of Delegates in 1955-1969. He was chairman of the National Conference of Bar Presidents in 1955 and president of the Texas Historical Foundation in 1970-1974. He has served as a director of eight Texas banks and on the board of directors of Texas A & M University of Corpus Christi. 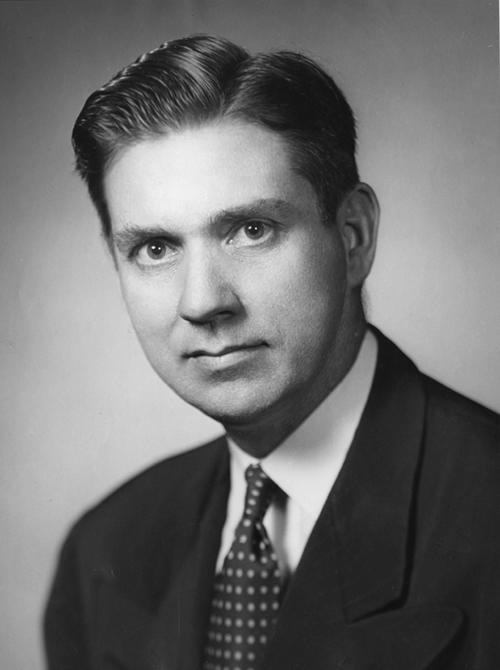 An active Democrat, Burney was a delegate to numerous state and national party conventions; and in 1968 he was both state director for the Humphrey-Muskie campaign and a Presidential Elector. He was a member of the Presbyterian Church and was affiliated with many state and local civic, professional, and social organizations. In 1938 Burney was selected as "Most Outstanding Young Man in Corpus Christi." He was given the "Distinguished Service Award" by the U.S. Junior Chamber of Commerce in 1939 and an honorary LL.D. degree by the University of Corpus Christi in 1975. Burney died on June 11, 1989.